UofA fans would you rather Arizona football go 8-4 with a win over ASU or 10-2 with a loss to ASU? UofA fans would you rather Arizona football go 8-4 with a win over ASU or 10-2 with a loss to ASU? 樂 Cast your vote. 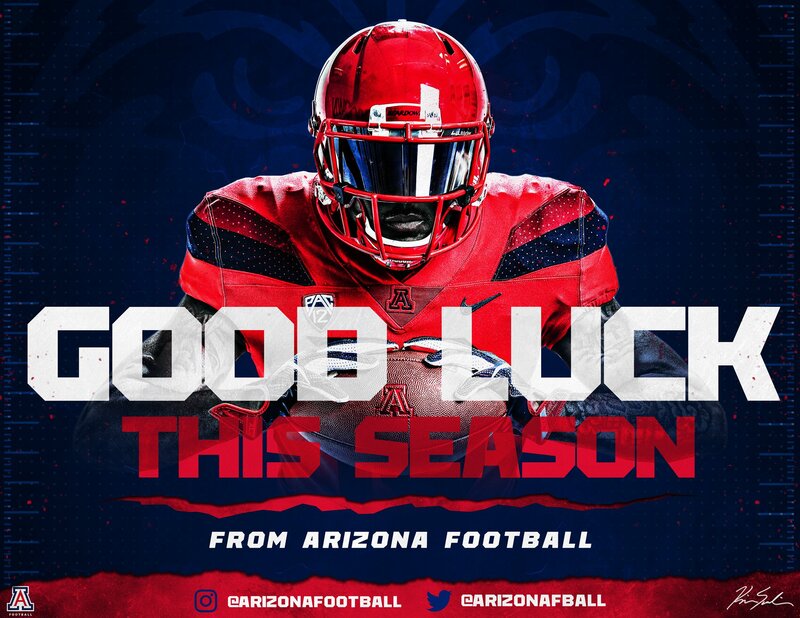 BearDown! Re: Would you rather Arizona  go 8-4 with win VS ASU or 10-2 with loss VS ASU? I'd rather go 12-0 and destroy ASU, but while beating ASU is always a top priority, it does not determine success of a season on it's own merit. Certainly helps, but. 10-2 is relevant as RR would say. If Herm is 5-6 going into the Territorial Cup...I'd rather keep them out of the bowl game. If our game is "meaningless"...let's go for double-digit wins. Depends on how competitive we were in the 4 losses. 4 close losses to say USC, Oregon, Houston and Utah, we sit better than a loss to ASU. But beat badly would trouble me more than a loss in a rivalry game. I wouldn't jump to the rabbit hole just yet. The OL situation is a little scary to be honest. For me losing to the scum is worse than anything...can't stomach under any circumstances. I'd rather be 1-11 with a win over them than a 13-1 national champion if that one loss was to ASSwipeU. Looks like we all are pulling for 8-4 right now? Most of us thought that we would use the talent we had for the best we could get from it by transitioning to a new system a little slower, but KS has decided to transition now and the players we have are learning a whole new system. Then factored in with Eldridge not playing, and Friekh being suspended, and the ncaa bias in not letting Congel play, along with other injuries and set backs. Well, you get the OL situation. Eldridge was listed for many preseason awards and is no small loss. That is magnified when we are already replacing most of the line. We started 5 new OL players this year with only 5 prior starts combined among them. A walk on C, true freshman LT, a new system, and a lofty preseason expectation kinda derailed us from the start. Fast forward: We should be could be 5-1, but sit at 3-3. We are improving each week on D and yet our O seems to be in the tank. We seem to have lost the "60 minutes of Arizona" and look to be gassed before half in many game situations. Questions about conditioning and rotation as well as poor game plans are flying. So as I see it, the talent on the OL is down right now and because we have changed the system from a zone read to what we have, the OL guys that are playing are at a disadvantage. That is on KS. Rotation has started to happen a little more throughout the game but still is not where it should be. Gassed? I have one thing to say about that. Get your starters off the STs! Why is your starting RB returning kicks? Why are your starting LBs on the field for kick offs? VERY POOR coaching right there! We have other players available. Tate? Is his ankle really an issue? I think it is by mere fact that an ankle injury is one that lingers for quite some time even if he was not playing it may not have improved much more. System? It is totally different and we are trying to transform Tate into a QB that happens to be an athlete. I think this is sorta the SM deal when he came in in BB where the streak ended of going to post season. Making the switch now on the system allows us to be ready for the future sooner rather than later, but does sacrifice the here and now. Do I believe SM did that? YES! We still don't play a zone even with multiple 7 footers in the game! KS wants to make the change now and that is what he has done. If Tate can improve by the end of the year, as well as the rest of the team, we should be a much better team next year. We will lose Friekh, but getting Eldridge back and a year in the system could pay off big for next year and our future. A bowl game this year? Yes, I believe we still get there based on our improvement as the year goes on. The O must pick it up some and the calls need to be more in line with our strengths but it is possible. Some say no sure wins and definitely sure losses, but I think that there is a reason we actually play the games. See Utah beating Stanford this last weekend. The D is giving up a lot of yards, but the turnovers are really paying off right now and that will turn a game faster than anything. Our O performance must improve to take advantage of those turn overs because they don't always go for six. Love to hear comments from others on this. I guess alot of UA fan and UA poster shot themselves in the foot on the prediction of UA football under Sumlin era. Well usually i will say dont jump the gun so soon or dont chase the rabbit down the hole and look how our season is after a year of showing promise of getting better and improvement. OKOK...I hear you and I TOO would never ever want to lose to assu....but.......ah the heck with it. I dont want to play your fantasy. I want a 10 win season and a win over assu...PERIOD!!!! !